When many people book a wedding limo, they don’t have much of an idea of what they are doing. It can be a challenging experience if you’ve never rented a limousine for anything else before. 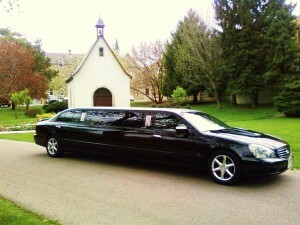 There are several limo companies in Toronto, and not all of them are going to give you the best service. It’s in your best interest to do a bit of research first to find out what you will need and what a good company, such as Majestic Limo Services, will be able to offer. Different sources give different timelines, with the average being three to four months. At the very least, you will want to book your wedding transportation more than two months ahead of time. The best vehicles and chauffeurs are always busy, so if you put off the booking for too long, the most reliable services might not be available. Also, the more people you need transportation for, the sooner you should book the limos. If you are planning your wedding during spring months, you should book at least three months ahead of time, as limo companies will be extra busy during prom season. Having the details planned out in advance. You don’t have to have your entire wedding planned out, but you should at least be able to prepare a list of some of the details when consulting with a limo company. They need an idea of the number of people who are going to be riding with you, the timing of the wedding, the location of the venue, etc. It’ll be easier to work out an ideal package if they have an understanding of what you and your guests will need. Familiarizing yourself with different types of limos. As mentioned above, limousines come in all sizes and styles, ranging from the classic Rolls Royce or Bentley all the way up to luxurious coach buses, which can hold up to 50 people. Consider what kind of vehicle would go well with your wedding theme. Also, will you only need one, or multiple limos? Understanding how the pricing works. You should receive a quote before deciding whether or not to book with a certain company. Limo companies in Toronto tend to have unique pricing systems. Will you be charged by the hour or can you book an all-inclusive wedding package? Will you be expected to tip the chauffeur? What is the fuel surcharge policy? Once you have some idea of what you need, go with a company that will let you fill out a free quote form online. They should get back with you ASAP. From there, you can provide them with some details about your wedding and ask about pricing. The representative should be friendly and willing to answer all of your questions. If you decide to go with a certain company, make sure your booking is confirmed. You should receive all of the information in writing. Also, ask for information about the chauffeur who will be driving you. Call back regularly to confirm your booking to make sure everything is still planned exactly as promised. You will especially need to call back the day before the wedding to make sure you know where to be at to meet with the limo driver and what time. If you keep these guidelines in mind, you should be able to book a wedding limo in Toronto with a reliable company like Majestic Limo Services.